⬅ Is Church Relevant to Your Teens? 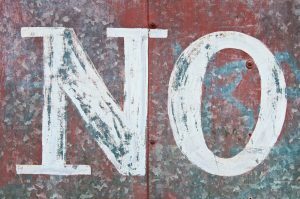 Saying ‘No’ to our kids is part of parenting–for most of us, it comes with the job description on a daily basis. ‘No’, I’m not buying you a cell phone. You are only 11! ‘No’, I’m not taking you to your friend’s house right now. You haven’t finished your homework. ‘No’, you can’t go to the mall with Sara even if she did get her license today. ‘No’, you can’t go sleep over at a friend’s house when I haven’t met the friend or the parents. And typically, the tween or teen stomps off letting you know that they wish they had been born into another family where the mom is much more ‘cool’ than you. “You never listen to me. You’re ruining my life.” And, of course, they can’t wait until they are old enough to move out! The door slams, we start questioning our judgment in the situation, thinking am I being that unreasonable?, and the relationship is severed in a way that we begin to wonder if things will ever be the same or possibly wishing they were old enough to move out. So what are some things that could possibly change the outcome? Before saying ‘no’, say tell me more. Most kids need to feel heard. 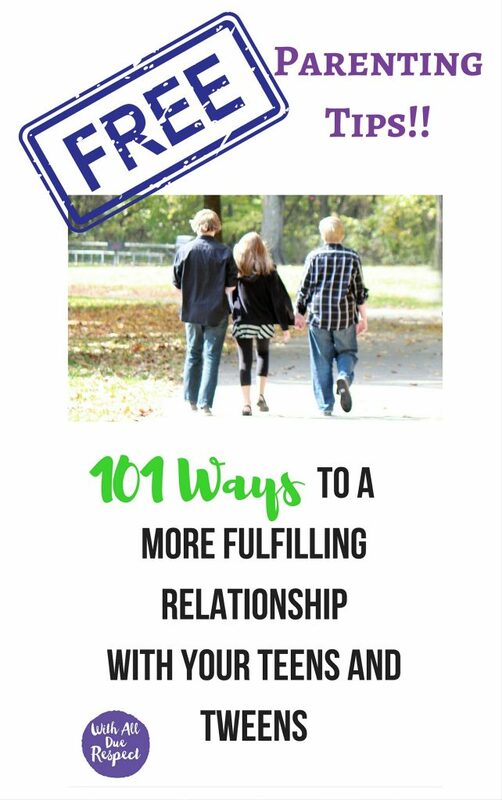 Our natural tendency when our kids request something that we feel is out of the question is to just say ‘no’ and move on expecting them to intuitively know that the request is ridiculous. Tell me more says I respect you enough to listen to why you are making the request. Before saying ‘no’, ask yourself if you have time for this conversation. Typically teens will hit us with requests when we are in the middle of something. What seems like an earth shattering matter to them is the last thing we want to have to deal with at that point in time. Rather than saying ‘no’ try saying something like “This sounds important to you and I want to be able to understand what you are thinking, can you come back in ____ minutes when I can give you my undivided attention?” When you re-engage in conversation say tell me more. Saying ‘no’ can sometimes be hard, and yes, it does involve more time on our part to do it with respect and empathy; however, the payback in connection can be well worth the time invested. When we say ‘no’ without taking the time to link arms emotionally, our kids may feel that it is an “us against them” mentality which can bring a host of resentment and defensiveness. Our job as parents is to instill in our kids that no matter our decision, and especially when we say ‘no’, that we love them enough to connect in the midst of their disappointment. 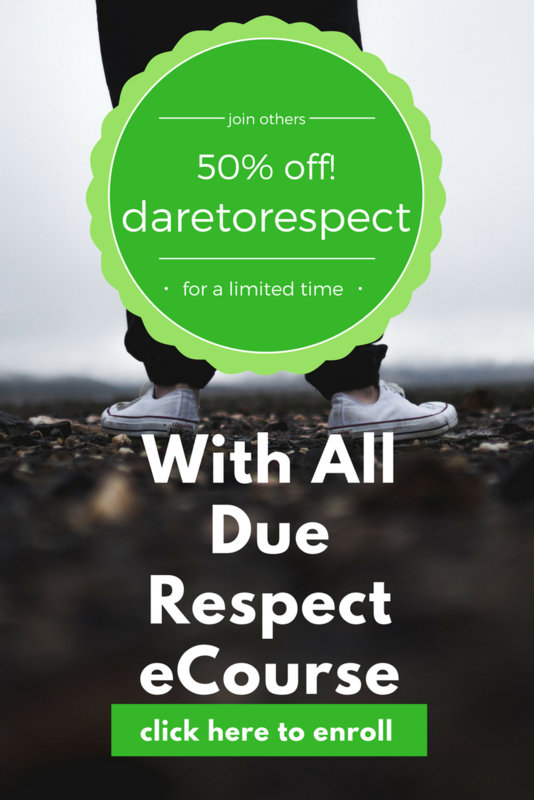 I would love to have you join me as I take a group of women through our new e-Course using the book With All Due Respect: 40 days to a more fulfilling relationship with your teens and tweens. The class starts mid-September. Pre-register now at a discount. I’d love to get to know you better. There will be video and opportunity to share with other women as we grow to be more like Him in our parenting.